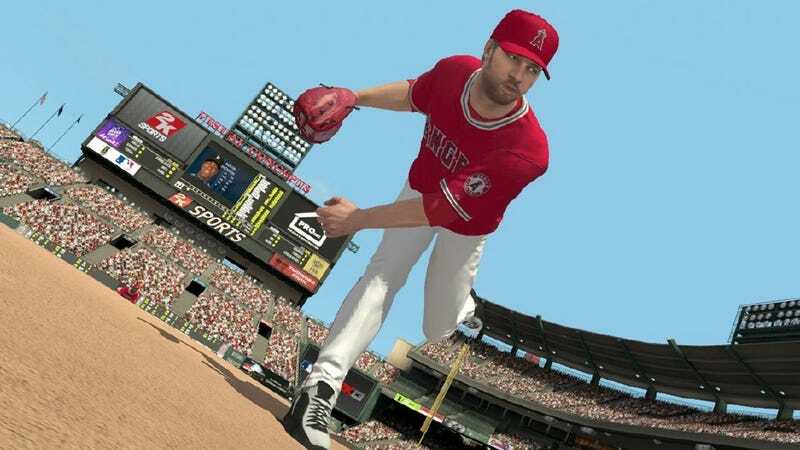 A student at the University of Oregon claimed the $250,000 grand prize in MLB 2K13's Million Dollar Challenge yesterday, relying on his own knowledge as a high school and college pitcher to prevail in a 3-1 nailbiter for all the money. He says he'll pay for law school with the winnings. Justin Chavarria, 21, pitched in high school in Klamath Falls and later at Shasta College before transferring to the UO his sophomore year, reports The Register-Guard of Eugene, Ore. His real-world approach to handling batters and tough counts paid off against his two opponents, Chavarria said, crediting MLB 2K13's AI for responding to it realistically when he threw his qualifying perfect game. This year, MLB 2K's Million Dollar Challenge divided up the prize pool so that more players won money, lowering the overall winner's payout. Everyone still had to qualify as they had in the past: by throwing a perfect game using a real-world matchup back in April. A perfect game is when a single pitcher pitches the entire game, a minimum of nine innings, and retires every batter without one reaching base for any reason. These games were then scored according to an algorithm that factored in opposition difficulty and pitching dominance—such as number of pitches, strikeouts and the like. The top four "most perfect" game throwers were invited to New York to duke it out in a two-round playoff on the same day the Major League Baseball All-Star game was played. Chavarria defeated a fellow Oregonian, Tyson Sanders, in the first game, then subdued Brad Holland, of Garland, Texas, 3-1 in the final. Chavarria selected the Texas Rangers and Holland played with the Oakland Athletics.